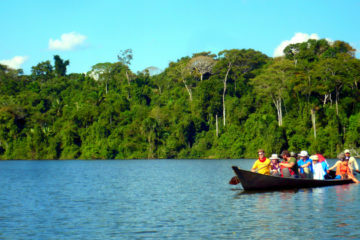 Iquitos & jungle adventure,, enjoy the warm hospitality of Iquitos, the most important town in Peru’s Northeastern Amazon Rainforest. 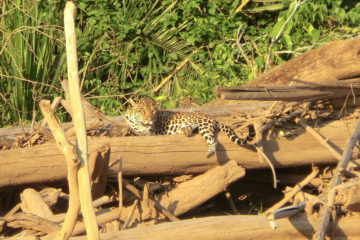 Meet the Amazon Rainforest and its inhabitants, their customs, traditions and daily activities in a 38-mile trip in two ecosystems (the Sinchicuy and the Yanayacu Watersheds); experience the encounter with the river, the flora and fauna, the natural environment on which the Amazon people depend for their living. Arrive in the hotel. Check-in. Room accommodation according to reservation..
Rest of the day is free for shopping and/or personal activities in town. Visit the local “shaman” who will explain about the marvelous healing properties and use of some of these plants and roots..
Visit a typical village on the shores of the Amazon, see the homes, schools, churches, shops and interact with its people..
Evening canoe ride or walk to discover the awesome world of night insects, cicadas, spiders, praying mantis, etc. Listen to owls and pootos. After breakfast you will motorboat to the opposite side of the Amazon River. 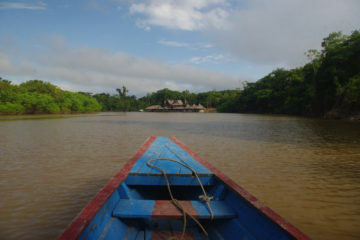 During the trip you will probably spot river dolphins, main characters of fantastic tales and legends of the Amazon Myths. *If you made camping-near-the-lake arrangements at the moment you reserved this tour, our staff will provide the necessary camping gear for your safety and comfort.